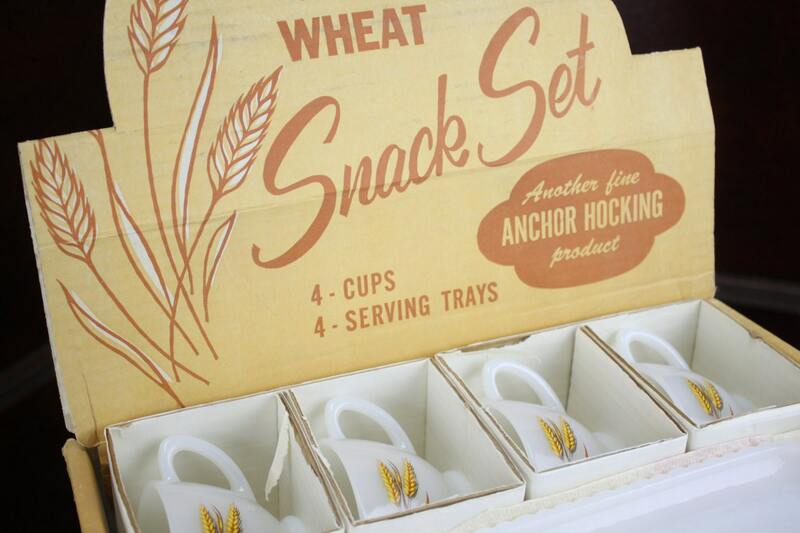 Whether you are looking to add a pristine example of Mid Century glassware to your collection or just want to impress the hell out of your friends and family with the very best in specialized serving ware - this Anchor Hocking Wheat print Snack set has what you are looking for! 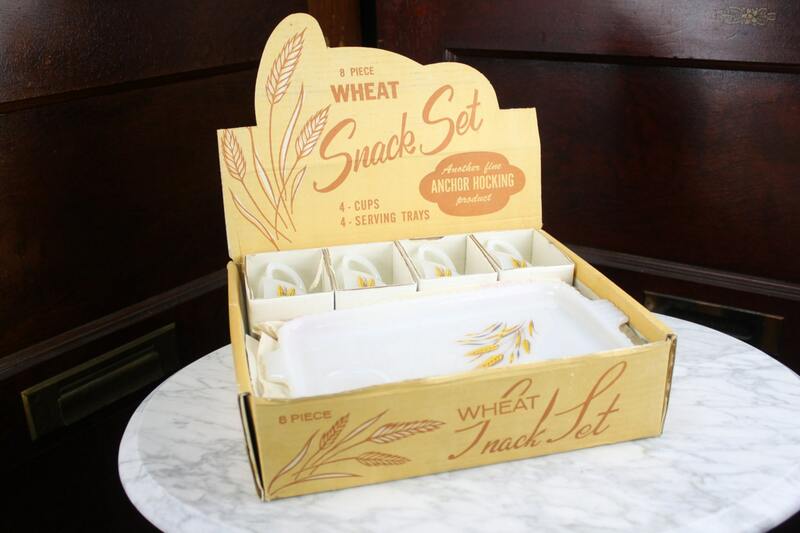 This set is in "new old stock" Condition. Meaning that they are new in the original packaging and have never been used! 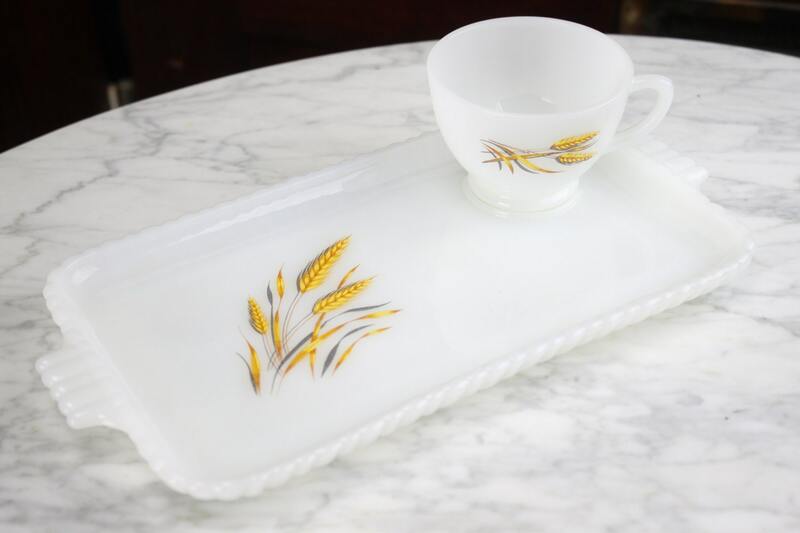 Although the glass pieces are not marked - most of Anchor Hocking's glassware was manufactured by FireKing. Making it reasonable to assume this set was produced by them as well. 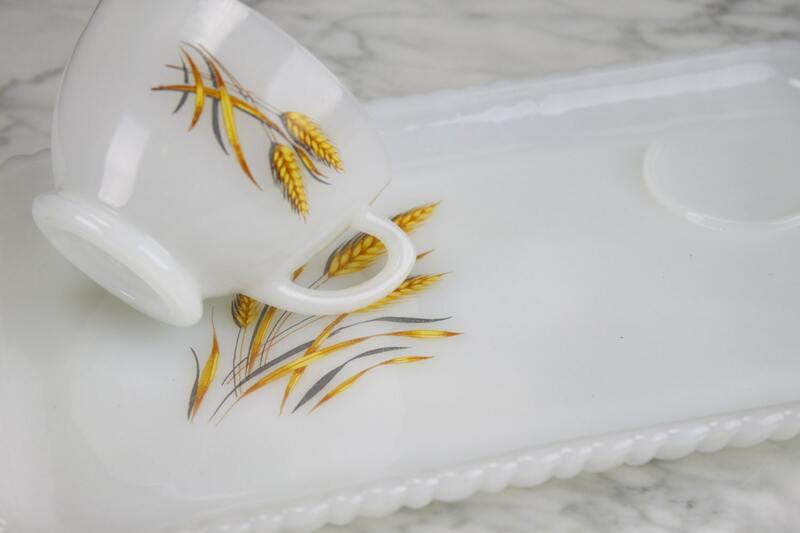 A stunning vintage addition to any kitchen! 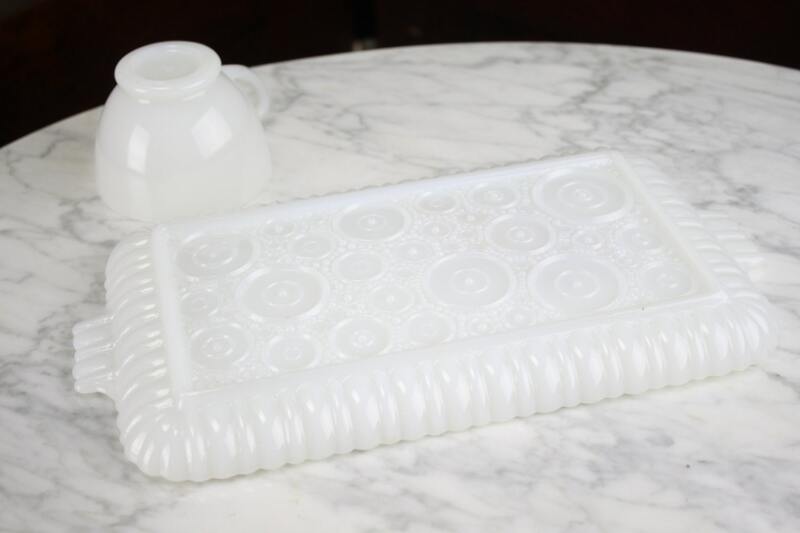 - Cup: 4" x 3"
- Plate: 11 & 1/2" x 6"
- Box: 13" x 11" x 3 & 1/2"